Architectural, Engineering and Project/Construction Management Services for upgrading facilities at the National Park Service sites throughout the United States and territories. Anil Verma Associates (AVA), Inc. was Prime Consultant for this project. 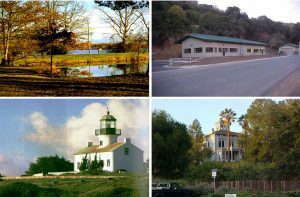 AVA’s contract with the National Park Service included value engineering studies/reviews, scheduling, estimating, and construction management services (Title I, II, III) for upgrades and modifications to existing park facilities including building demolition, historic structure rehabilitation and adaptive use, visitor centers, administration buildings, commercial lodging units, maintenance facilities, water and sewage treatment plants, utilities stations, campgrounds, picnics areas, roads, trails and parking areas.